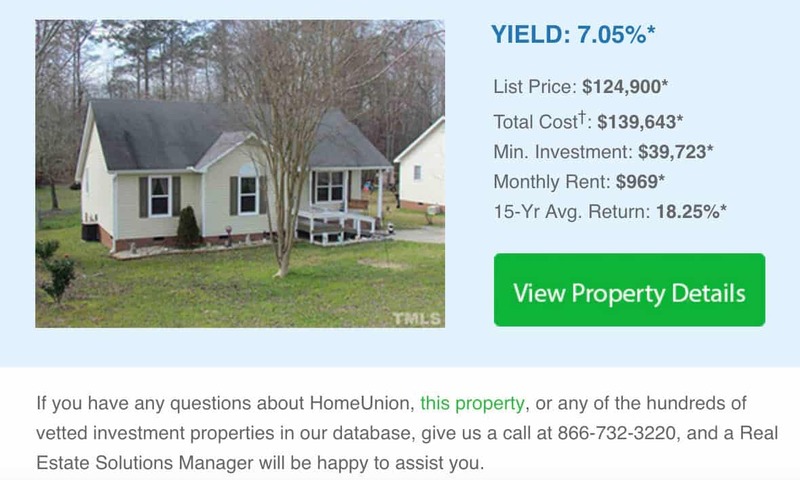 Home Union, an online real estate investment website, conducted this email test in-house to determine which email content would drive higher engagement rates with interested real estate investors. 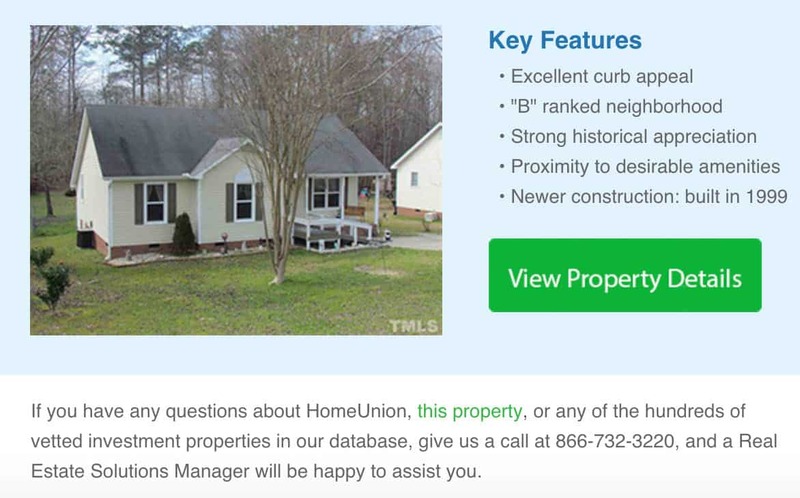 Suspicious that their original email used, Variation A, focused too heavily on the monetary aspect of investing, Home Union decided to test a new email, Variation B, that instead highlighted the key features of the advertised home. While both variations highlighted benefits to the user, Variation A focused on finances, stating the expected monetary yield from the income property. In contrast, Variation B described the home’s features. The team believed the featured-focused email would drive increased engagement rates, because it emphasized immediate value to the prospective investor. Home Union relied on Marketo to send the email variations out to over 8,600 readers. Of this amount, 4,305 people received email variation A, while 4,312 received email variation B. Winner: Version B – highlighting features, resulted in a 33.8% lift in click-to-open rate, compared to the Variation A, the financials-focused email, at 95% confidence. Composing an engaging email is like giving a person a present. Sure, you can hand someone an unwrapped gift — it’s still a gift, after all. But, it’s a lot more exciting when they get to unwrap the present, open the box, and discover what’s inside. It’s all about anticipation — with a wrapped present, the anticipation stems from opening the box and wondering what’s inside. In the case of an email, the anticipation takes the form of the email’s content, building up to the gift awaiting you on-site, whether that’s a discount applied to your shopping cart or confirmation that you’re making a good investment. The point of the email is to accomplish what Robert Cialdini, In his most recent book, “Pre-Suasion: A Revolutionary Way to Influence and Persuade,” calls “pre-suasion”. That is, by building up to the message in question, one can achieve “optimal persuasion” — a point at which you’ve persuaded your audience before the decision making process actually occurs. In this case, presenting readers the property features within the email did just that — it pre-suaded the audience, as it prepared to entice investors to purchase the property, just based on the description alone. That said, Variation A, featuring the financials, also highlighted benefits to the user as it stressed the possible yield investors could get from the property. So, why didn’t that email have a similar pre-suasive effect? Because the benefit wasn’t immediate. Buyers would have to wait many years for the yield to bring a substantial return on investment. According to Matthew Willcox in his book, The Business of Choice, consumers are far more motivated to make a decision that seems beneficial in the immediate-term — even if the benefits diminish over the long-term. For this reason, it makes sense that Variation B, featuring property details, drove higher engagement rates. In reading the email – the value was clear: A nice house could be immediately purchased and rented out. End of story. Alternatively, Variation A, highlighting financial yield, described an end benefit, which would materialize far later in the investment process. The return on investment also required initial money down, making the idea of investing in the house feel more painful. Even if there is real value in it! Ultimately, a successfully engaging email boils down to presentation — present your content in a way that will excite your audience and motivate them to take the next step. While each email offered different information up front, on click through – the reader would see both finances and property details. It’s just a matter of convincing them they should click through in the first place. 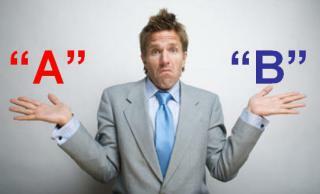 Use email as a mechanism for Pre-Suasion. No need to give up all the information upfront. Compel your audience to take the actions you want by grabbing their interest, then rewarding them with the hard facts, once they’ve completed the initial action.